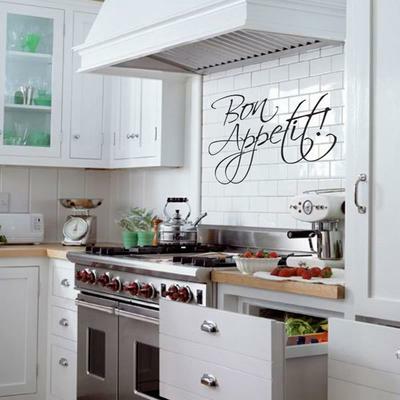 This Bon Appetit Wall Sticker is one way of adding some spark to your kitchen or dining area. It is made from a gorgeous calligraphic font so it adds a very nice delicate touch to your room. Use this inside your dining area or maybe right beside dining table. You can also place this right inside a commercial space. It's great for a restaurant or a small cafe. Note: Please remember that these stickers are made to order so returns are not accepted. They are also made to last so the item is not reusable. Once you put it on, it can stay on until you remove it.